Full of likable written characters and amazing performances. 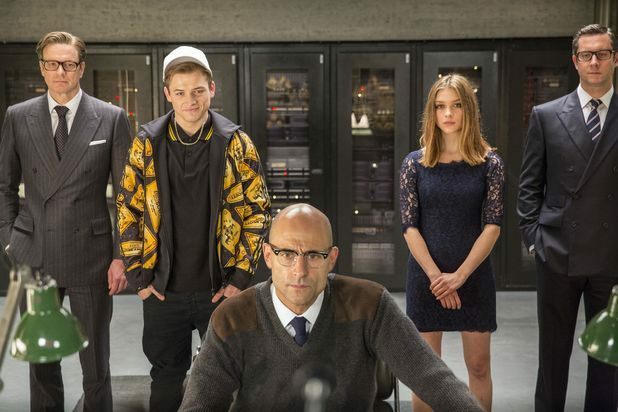 All of the main cast, especially the lead; Taron Egerton did a wonderful job. The villain was memorable, the action scenes were fantastic and a bit of heart brought it home. This is Stormbreaker but 100 times better and for adults. It's kind of a shame the film is not suitable for a young audience. The only reason I say that is because the Colin Firth Character was so cool with his gadgets and gentlemanly manner he'd have been quite a cool role model. Same for some of the other leads. Something happens with Michael Caine's character towards the end and it kind of felt tacked on, a bit unconvincing. And afterwards the team felt a bit broken to me. I loved seeing Eggsy's mum and sister and every moment with them felt so real. But there was not enough of it, and not enough of time with Eggsy and his mum. What was there was good but it could have dived even further into their relationship. My last issue with the film is a lot of transitions bothered me, some were just really ugly and took me out of the moment. An action film with charm and heart. I highly recommend. OH, and way better than Stormbreaker."